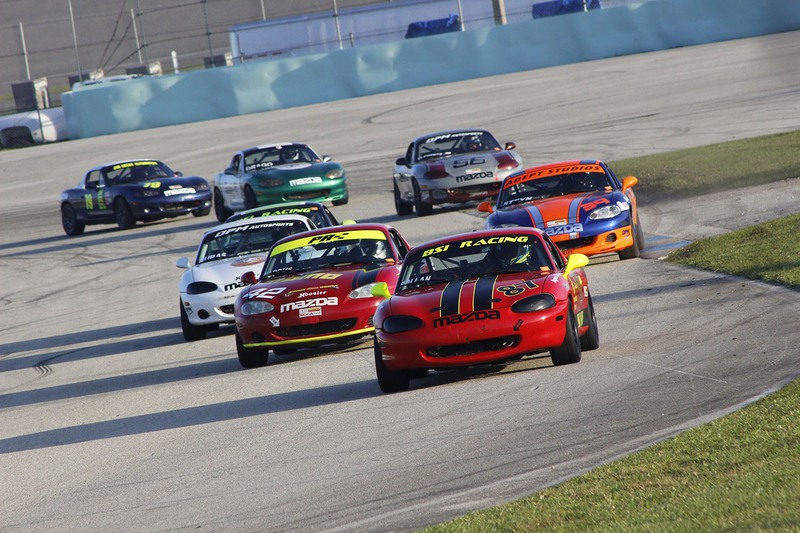 At the 2017 Season opener, the Homestead SCCA Majors event, Steyn would double dip, competing in both Spec Miata and Super Touring Lite. 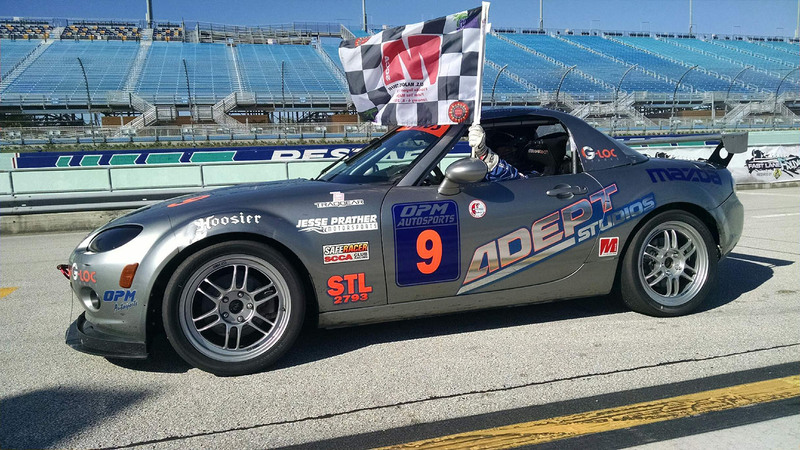 Danny Steyn, qualifying with his Rossini teammate Selin Rollan, put his Rossini powered Spec Miata on the pole for both Spec Miata races at the 2017 Homestead Majors event. 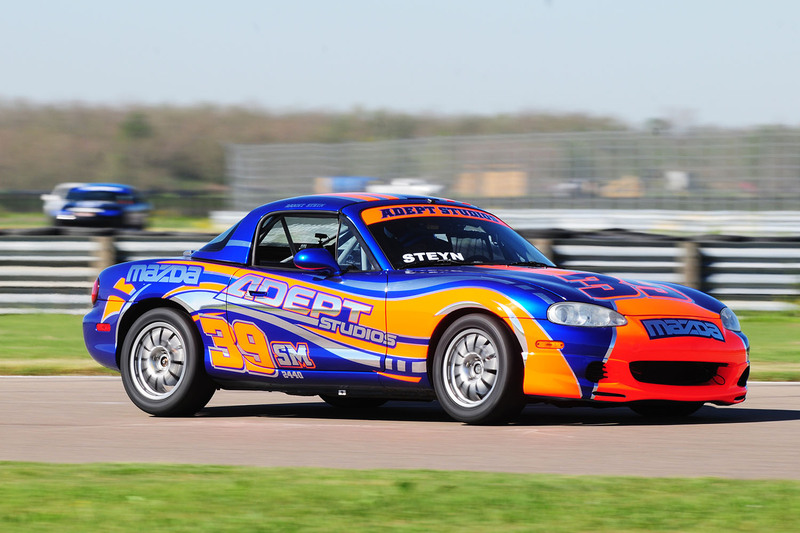 Steyn also qualified on pole for the STL race in his Jesse Prather powered Mazda MX-5. 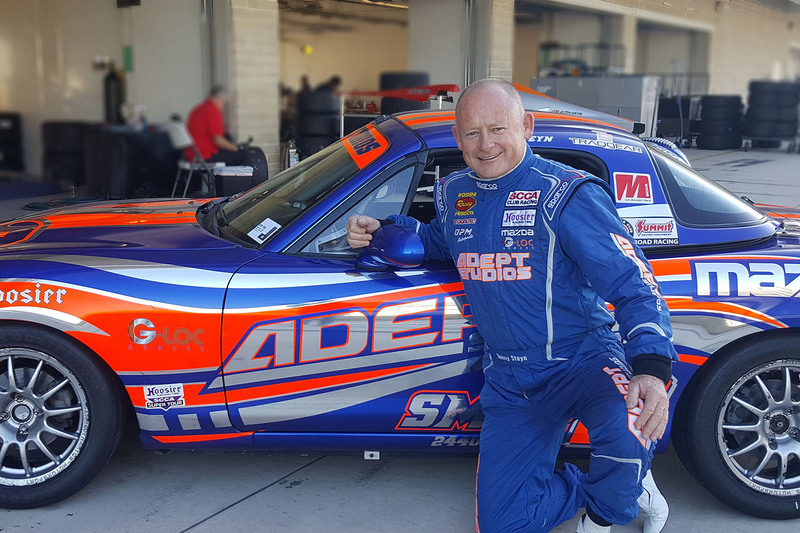 In Spec Miata Race 1, Steyn started from pole but immediately got moved back by Autotechnic teammates Cliffy Brown and Alex Bolanos. Steyn and Rollan worked together and stayed in contention until the Full Course Yellow. 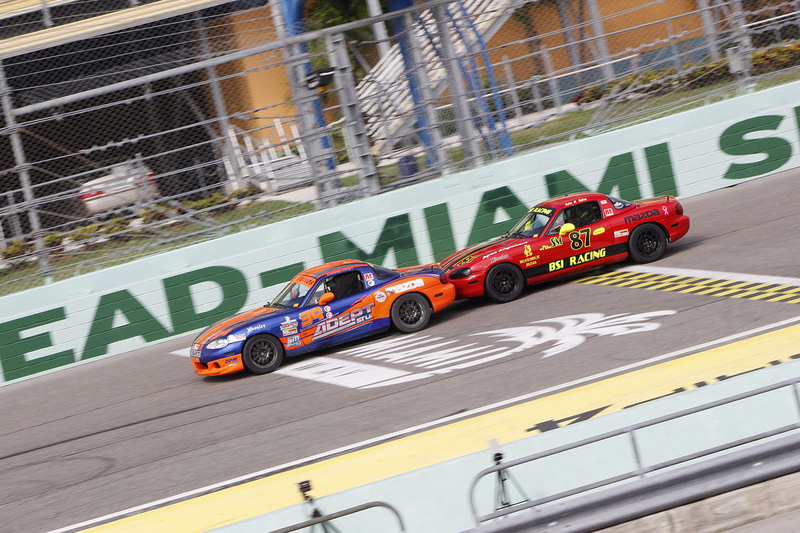 At Homestead, just like Daytona, two cars working together are more than a second faster than a car on its own, so having a team mate is essential. On the restart Rollan got past Brown, and Michael Carter joined in to work with Steyn. Working together Steyn and Carter moved into 3rd and 4th behind Bolanos and Rollan. 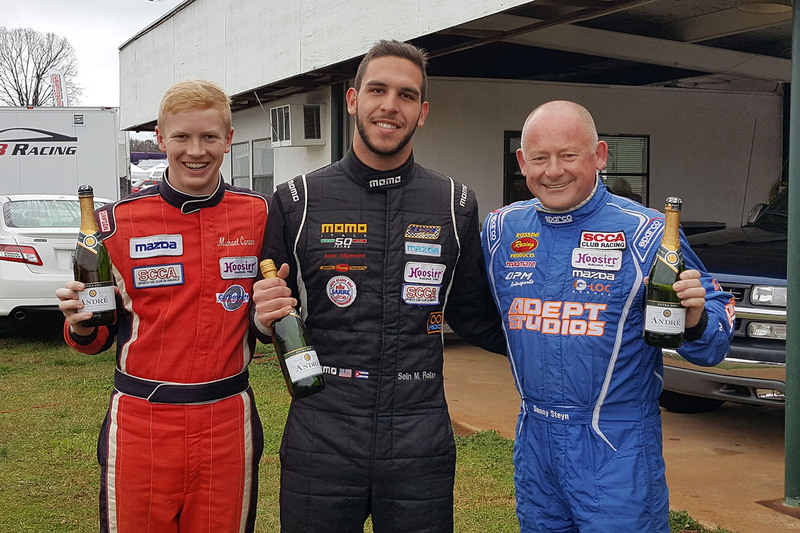 Warren Dexter, working with Cory Collum got past Steyn and Carter, and Carter fell back to Buras, leaving Steyn in no-mans land where he hung on for the next few laps. Then Carter pushed Buras past Steyn, and then Clements pushed Carter past Steyn as well. 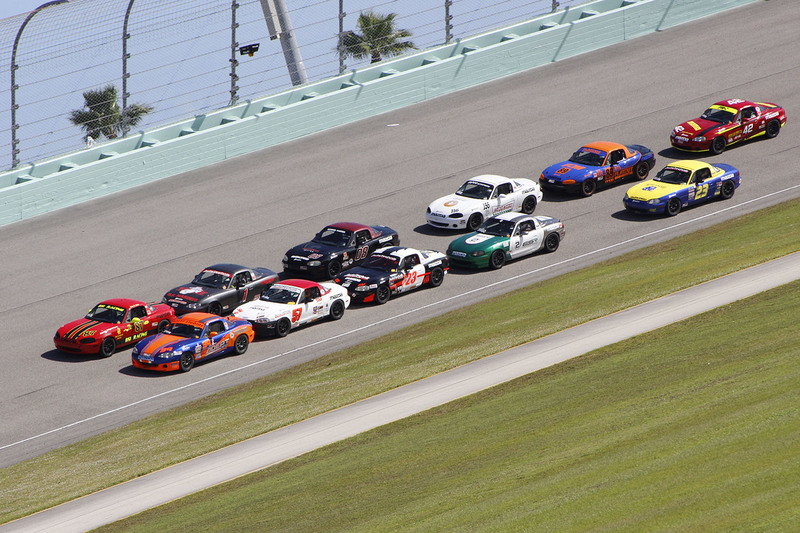 At the finish line it was Bolanos, Rollan, Collum, Dexter, Carter, Clements, Buras and Steyn in 8th place. 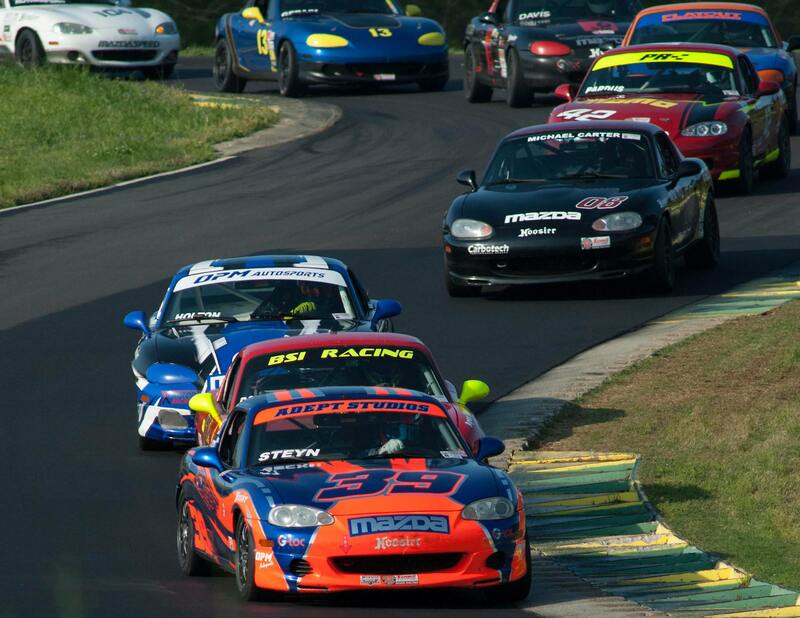 In Spec Miata Race 2 Steyn and Rollan worked well together and built up an initial lead on the rest of the field. At around the half way mark, utilizing the huge benefit of the draft, Bolanos pushed Buras past Steyn and Rollan. Behind Steyn, Rollan was struggling, and this allowed Carter and Drago to draft past Steyn, and Rollan followed suit in their draft. 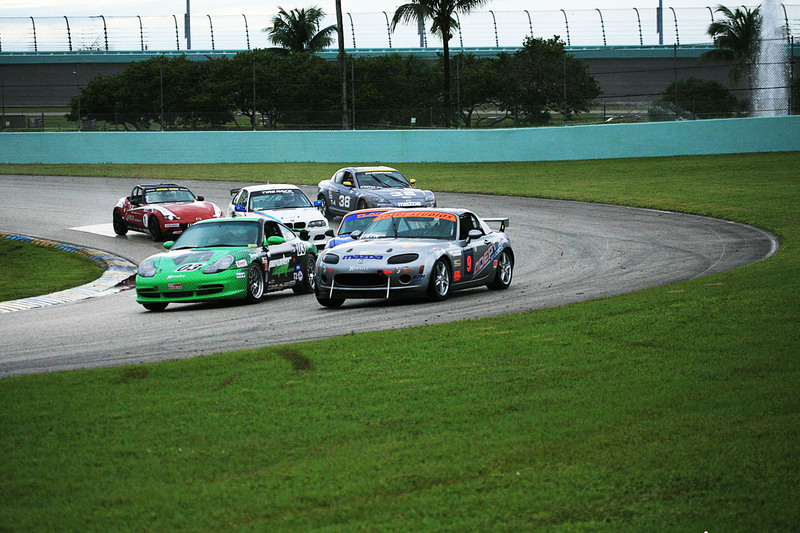 At the end of each lap the top 6 were nose to tail going into Turn 1. As the laps wound down, Steyn pushed Rollan into 3rd ahead of Carter and Buras, but Buras knocked Rollan off the track, leaving Steyn and Carter to work together. 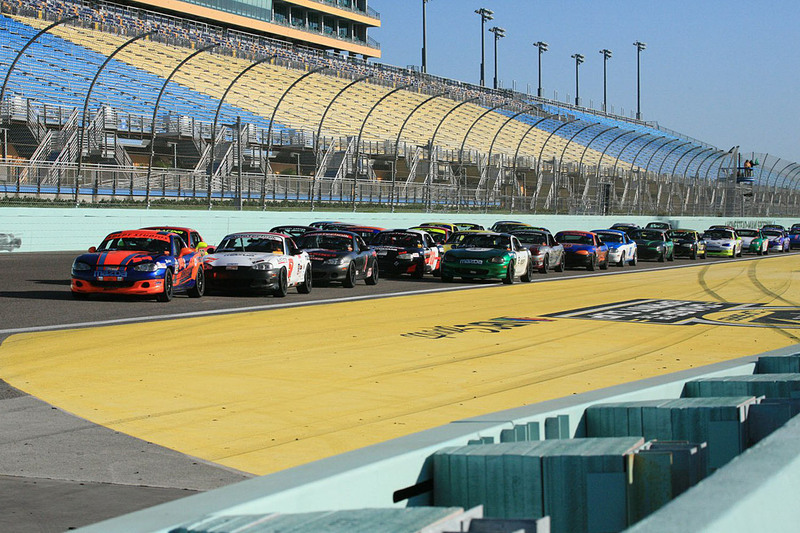 With one lap to go Bolanos led with Drago 2nd, Steyn 3rd and Carter 4th, but Carter was able to draft past Steyn over the finish line by 15/1,000ths of a second to get the last step on the podium. 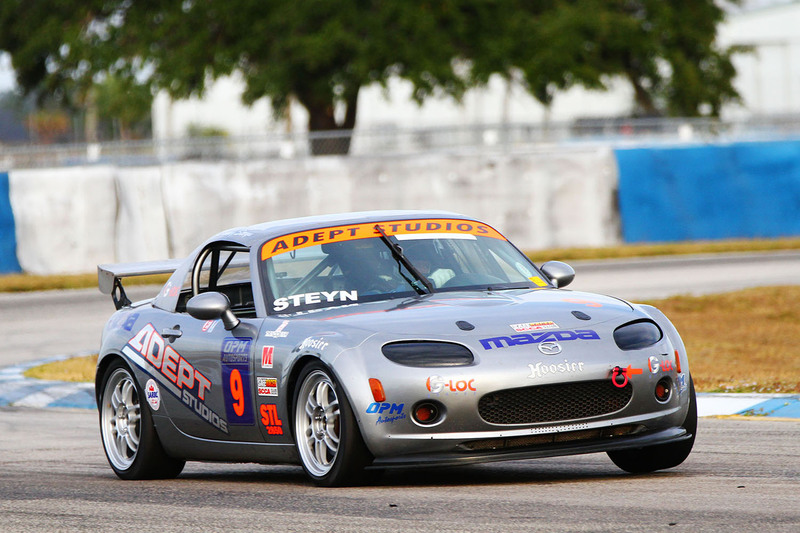 For the STL Race 1, run in the rain, Steyn qualified his MX-5 on the pole, but it was Nick Leverone who got into Turn 1 first in the mixed class traffic. In the rain, Steyn and Leverone put on a clinic, passing much more powerful out-of-class cars, including Porsches, Mustangs and BMW’s. When the Full Course Yellow came out, Steyn had moved up to 3rd overall in front of Leverone. 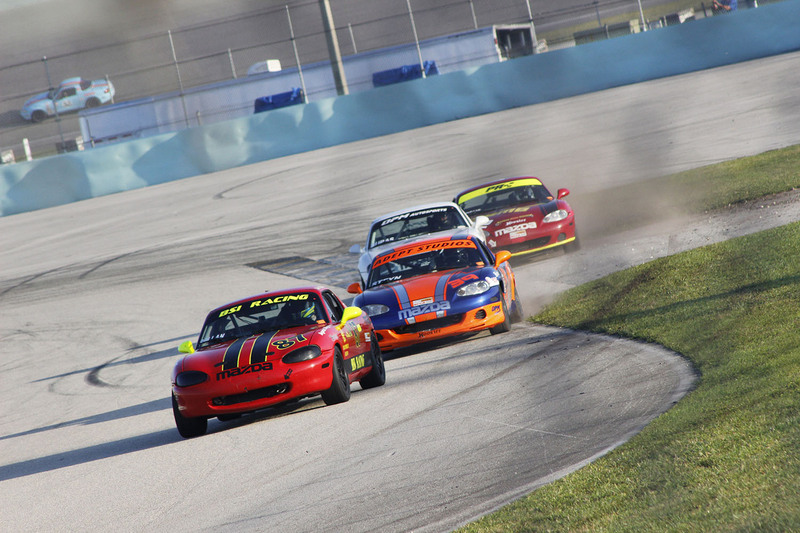 Steyn eventually moved into 2nd place overall lead when Chip Van Vurst’s Mustang spun out in T2, and built a large gap back to Leverone, but on the last lap Steyn would spin out in the exact same spot, relinquishing the lead to Leverone who went on to win the STL class with Steyn 2nd . Sunday’s STL Race 2 was run in perfect sunny conditions and Steyn, starting from pole in STL, pulled out to a comfortable lead and walked away to a 14 second victory over Nick Leverone.